Pakistan’s fastest friend, China has announced to launch a telecommunication satellite, named PakSat-1R, for Pakistan in year 2011. The satellite’s chief contractor China Great Wall Industry Corporation (CGWIC) has lately reported that a Long March 3B rocket will be used to put the satellite into orbit. 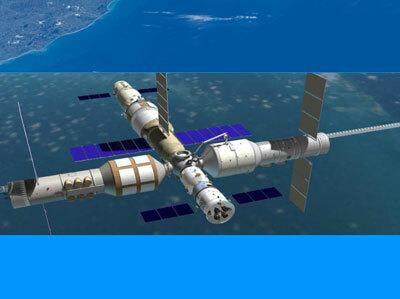 It will launch from the Xichang Satellite Launch Centre in the south western Sichuan province. According to Business Recorder the satellite company will manage ground control facilities for the satellite to be delivered to the Pakistan Space and Upper Atmosphere Research Commission after it enters orbit. CGWIC and its sub-contractors are responsible for the design, manufacturing, final assembly, testing and launch of the satellite. Paksat-1R will have a life span of 15 years. Pakistan will use it for domestic telecommunication and broadcast services. Contracts for the satellite deal were inked during President Asif Ali Zardari’s recent visit to China.